Once the list of possible ministers is cleared by the party high command in Delhi, preparations for the swearing in of the new ministers are likely to start. As per reports, at least 15-20 ministers will be included in the cabinet. 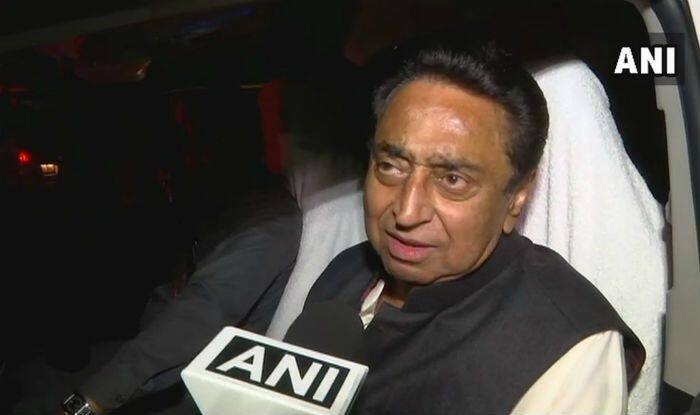 Bhopal: Madhya Pradesh Chief Minister Kamal Nath on Friday said that the Cabinet will be decided in the next two or three days. The council of ministers will be decided either on December 22 or 23, as the state’s Governor, Anandiben Patel, will be out of the state from December 24 to December 30. Earlier, it was reported that Nath would fly to Delhi for consultations with Congress President Rahul Gandhi, the state party’s campaign committee chief, Jyotiraditya Scindia, and the party’s national general secretary in charge of MP, Deepak Babaria. The first session of the new Vidhan Sabha is likely to start from January 7 with the swearing in of the 230 legislators. On the formation of the cabinet, Nath had said that first-time legislators are not on the priority list for ministers. “It is true that MLAs who have been elected for the first time, we will not give them priority for a ministerial berth,” he said. In a major reshuffle, at least 48 Indian Administrative Officers (IAS) including 24 district collectors have been moved from their respective posts just days after Kamal Nath took oath as the Madhya Pradesh Chief Minister. As per reports, senior officer Manoj Shrivastava, who was recently appointed as the Vice Chancellor of Sanchi University has been shifted from important departments, including commercial tax, to animal husbandry department as the additional chief secretary. Shrivastava will have an additional charge as the chairman of the Professional Examination Board (PEB) or Vyapam. Meanwhile, Manu Shrivastava, principal secretary new and renewable energy, has been given charge of the commercial tax department. Collectors of Indore, Dhar, Ratlam and Katni were retained while Rewa collector Preeti Maithil has been transferred to Sagar.